I just wanted to offer my sincere thanks for doing such an amazing job with my hair and my sister’s hair for my wedding on the 19th December in Chipping Campden. You are so talented! I only had to show you a few pictures and you created the exact look I wanted. On a side note, I just wanted to say how much I appreciated your warmth and calm presence on the morning of the wedding. You are so easy to chat to. I would strongly recommend you to any bride who would like to have a talented hair stylist who is warm, considerate, listens to your ideas and uses her expertise to create the look you desire. Wishing you all the very best for 2016. Thank you so much for doing my hair and make-up on my wedding day. I felt amazing! The girls were really happy with their hair too and they looked lovely. It was really lovely that you were there and so helpful on the day. You did such a good job! We had an amazing day and everything went well. Thank you so much for doing our hair and makeup on my wedding day. Our makeup stayed on and our hair stayed in place all day without feeling over done!! We had so many compliments and we felt the most beautiful we have ever looked!! Thank you so much for doing our hair and makeup on my wedding day. Our makeup stayed on and our hair stayed in place all day without feeling over done!! We had so many compliments and we felt the most beautiful we have ever looked!! 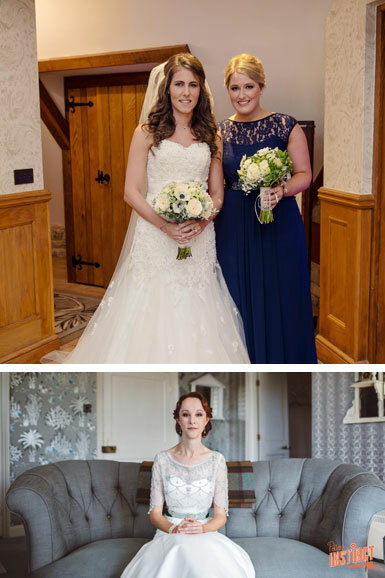 My sister booked Holly to do all of our hair and make-up for her wedding last year and it all looked fab. We asked Holly to be the make up artist for me, my mother-in-law and two bridesmaids at our wedding in April. She was professional and friendly at the trial and on the wedding day itself. The make up was stunning and gave a photo-quality throughout the whole day and evening. I was over the moon to find someone who captured exactly what we wanted and made the wedding morning fun, calm and organised. Would never hesitate to recommend Holly! Thank you so much for your work on my wedding day. I loved my hair and make-up and everyone told me I looked beautiful, it was perfect. Holly did my hair and make-up today for my boudoir photo shoot, I really couldn't recommend anyone else to do such a lovely job. Holly is great at her job and can smash various looks. I have had several comments on how lovely my hair and make-up looks tonight. Holly is a very friendly lady and is great to chat to. You made me feel very relaxed this evening, I was almost falling asleep when you were telling me to close my eyes. Thank you for making me look flawless Holly! Will be contacting you for any occasions, for sure. Thank you once again! Dear Holly, Thank you for coming on Sunday and doing such a brilliant job. My make-up looked lovely all day and so was Helen’s. Lots of people said how great it was. My husband was really impressed – said he's not seen me looking so good – and we've been married 40 years! It really contributed to a very special happy day. Thank you so much - I'm sorry you had to get up so early!